Microsoft has announced that it is to integrate its MSN Music portal with Zune Marketplace when it officially launches in the UK. According to the computing giant, MSN Music will start linking out to Zune.net with its editorial content, while Zune will replace the current download store on MSN Music. Because of the move, customers of the MSN Music download store will be invited to use Zune Marketplace - a UK version was announced last week - which offers millions of DRM-free music tracks. Steven Wilson-Beales from MSN Music, said about the integration: "People will now be able to consume a range of music news, videos, spotlights on new music and artist information and have at their fingertips, the ability to purchase and listen to the music they want, wherever they want. "The integration between MSN and Zune Pass will allow subscribers to log in from any supported web browser for unlimited access to a catalogue of 7 million songs in the Zune Marketplace." 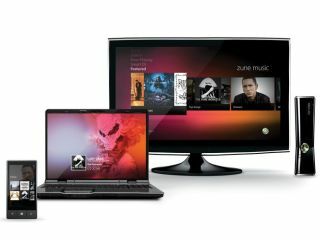 This will be a big boost for Zune, considering MSN Music gets around 25 million unique visitors in the UK every month. The Zune Pass costs £8.99 per month and once bought users can listen to their Zune Pass music using the Zune software on their PC, on Windows Phone 7, Xbox 360, or in any browser via zune.net for as long as they hold their subscription. The actual UK release date for Zune Marketplace is autumn and while the leaves on the trees are getting brown, there's been no word on an official day of release.